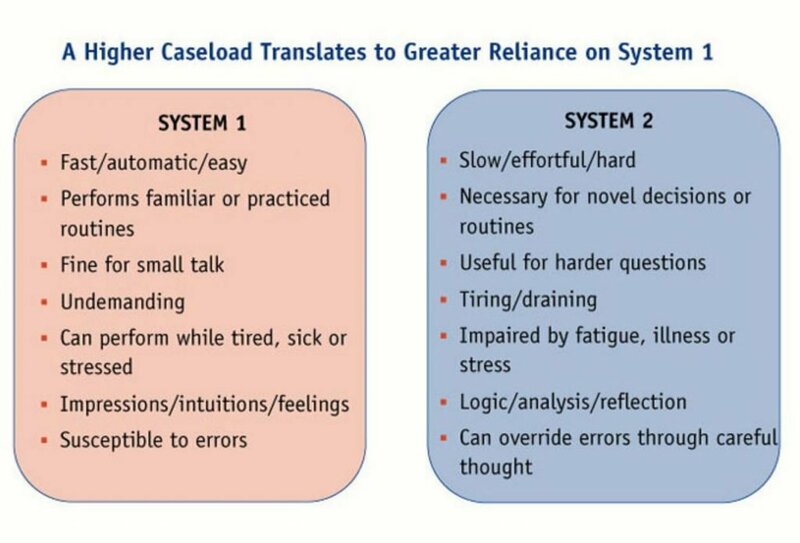 System 2 is our slow, disciplined, effort hungry, largely conscious mind that monitors system 1 and allocates attention to more complex mental problems that require it. However, this system is lazy and will rely on system 1 whenever it thinks it is adequately handling decision making. This concept was introduced by the psychologist Daniel Kahneman in his book Thinking, fast and slow. See also behavioural economics. Human decision making – The rationality of decisions.